Ten players from across the state met at the Aldea Community Center in Santa Fe, NM on November 3 to compete in the 2018 New Mexico State Go Championship. 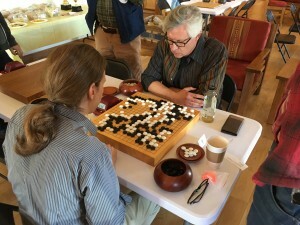 In the three-round Open Section, four players vied to be champion in a round-robin. With even games, expectations were high that the strongest player, Steve Uhl (1.2d), would dispatch the other hopeful kyu players with ease. But Billy Maier (3.2k) from Albuquerque, the next strongest player, had other ideas, winning all his games to become Champion. Robert Cordingley. 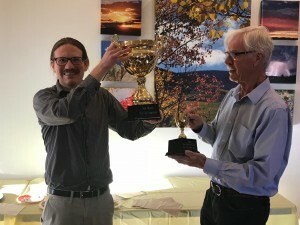 “Billy is expected to defend his title next year.” In the Handicap Section, up-and-coming Kyle Fenimore (9k) from White Rock, NM won all his games to take first place, beating Stewart Kane, who placed second and Bob Gilman, who took third place. 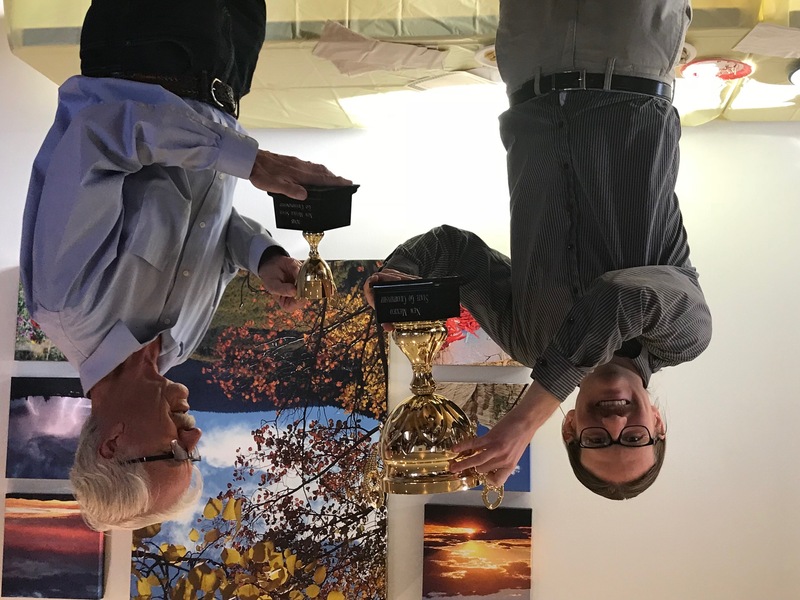 “Our thanks go to local go player Lewis Geer and the AGA for their generous sponsorship of this tournament,” Cordingley added. photos: (right) Maier (at left) and Uhl; (left) TD Robert Cordingley presents Billy Maier with his trophy.